Ellingham Academy is a famous private school in Vermont, founded by an early twentieth century tycoon for the best and brightest students around. 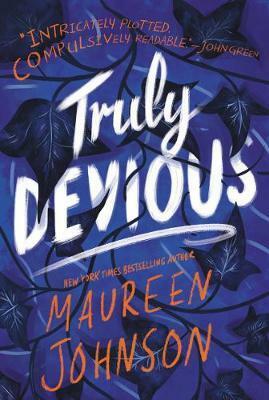 When Ellingham's wife and daughter were kidnapped, the only clue was a mocking riddle listing methods of murder, signed with the frightening pseudonym "Truly, Devious." Their disappearance became one of the great unsolved crimes in history.